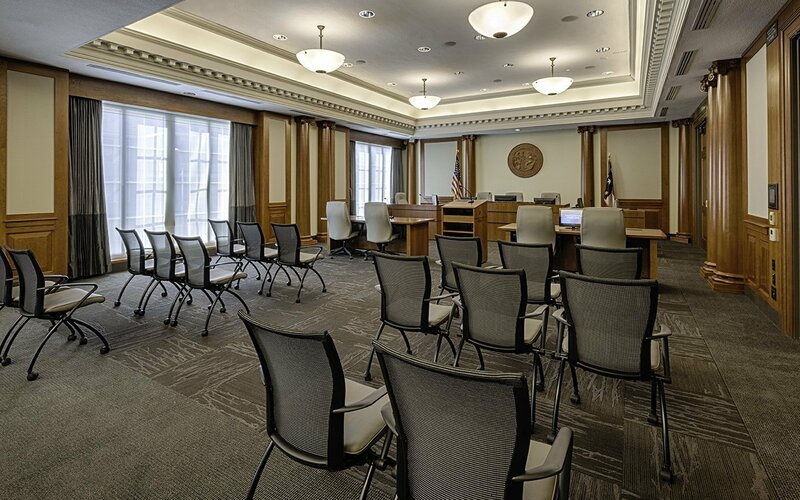 The North Carolina State Bar is the government agency providing oversight for the regulation of the legal profession in North Carolina. Established in 1933, the State Bar now regulates over 27,000 licensed lawyers in the state. 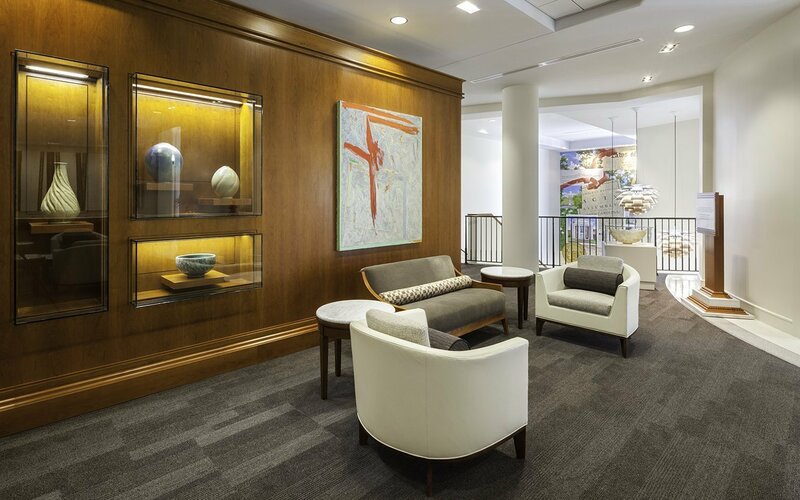 Having outgrown its current space, the State Bar needed a new home. The site of the new building is a prominent corner in the State Government Complex in downtown Raleigh, near the Executive Mansion. 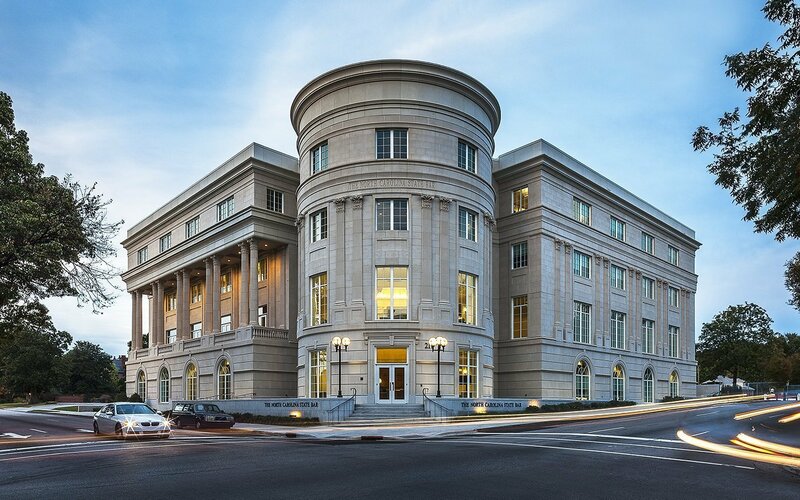 The State Bar’s new headquarters is a dignified, traditional building that responds both to the classic architecture of other buildings within the Government Complex as well as to the organization’s respect for tradition. 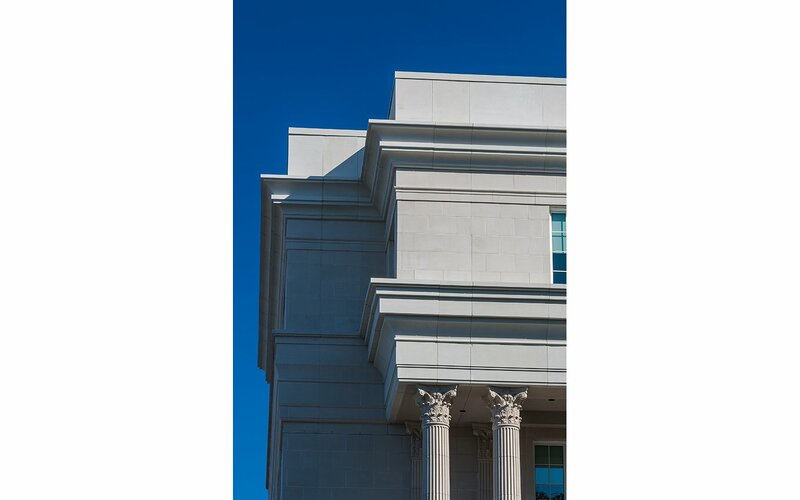 The classical exterior and public spaces on the building’s first and second floors evoke the civic pride and grand spaces present in historic courthouses in many of North Carolina’s county seats. 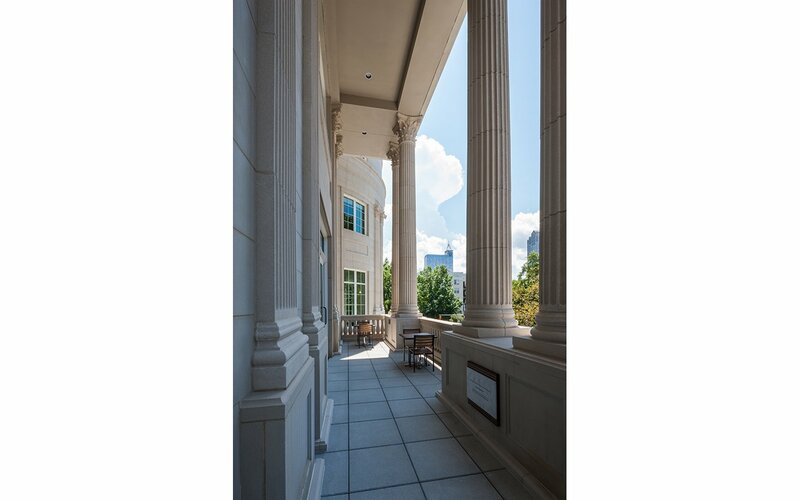 The two-story lobby in the central rotunda is formed by Corinthian columns, echoed on the exterior where they line a covered balcony off a series of large meeting rooms. Mahogany wood finishes and native North Carolina granite bring a richness and texture to the interior. While it respects the past, the building functions as a 21st century headquarters. 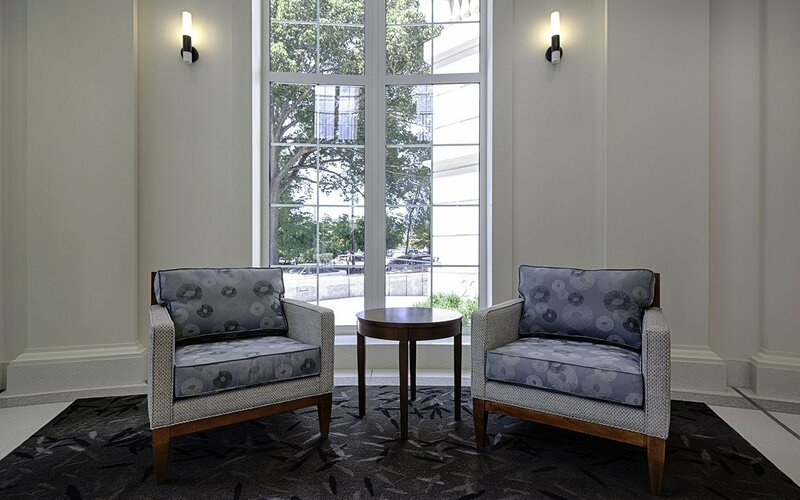 The interior blends the traditional with the more modern, echoing the culture of the State Bar itself and showcasing the State Bar’s extensive art collection. The two upper floors, which contain primarily administrative space, follow a more open floor plan, allowing flexibility for shifting department locations as needed. 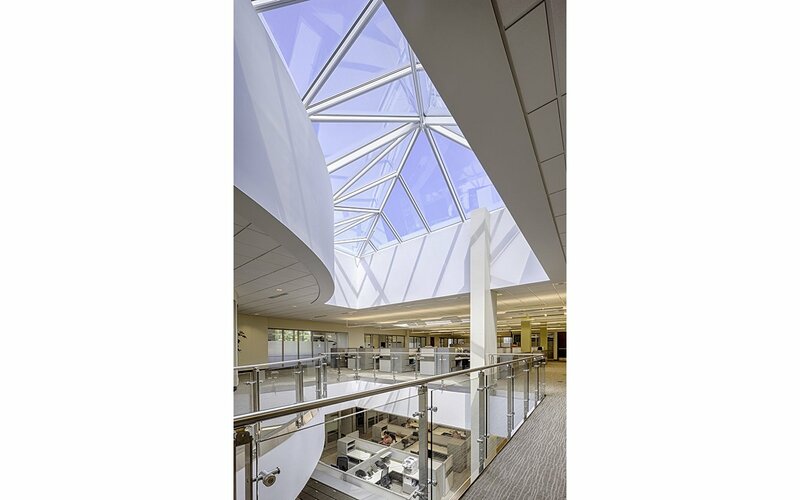 An atrium in each building wing brings natural light into both the third and fourth floors; glass wall systems allow light to suffuse the entire space. Integration of technology is key throughout the building. The LEED Silver certified building provides a healthy work environment for employees and members.